On our last day in Murgon, we assisted staff at the St Joseph’s Athletics Carnival and cheered on the students in each of the events in which they took part. After lunch, we said our farewells to the staff and students who made our visit so memorable. 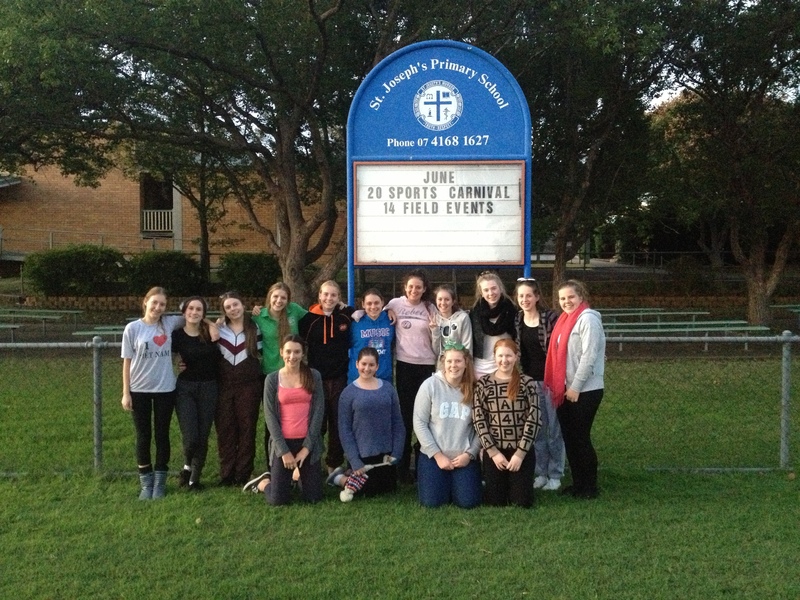 We look forward to reciprocating the hospitality next time a group from St Joseph’s is visiting Brisbane. Thank you must go to the staff from St Rita’s College who make trips such as this possible: Mrs Brennan, Mrs Mulherin and Ms Binnie. To the students who took part: Thank you for entering into the spirit of the immersion and for the care and respect who showed to all. You were wonderful ambassadors for the College. Posted in Murgon Immersion 2013. 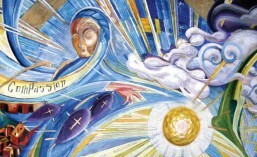 Today provided us with the opportunity to consolidate our immersion experience. Most of the day we attended the classes we have been working with and assisted the teachers in any way practicable. It gave us the chance to continue building the rapport we have established with the students over the past two days. 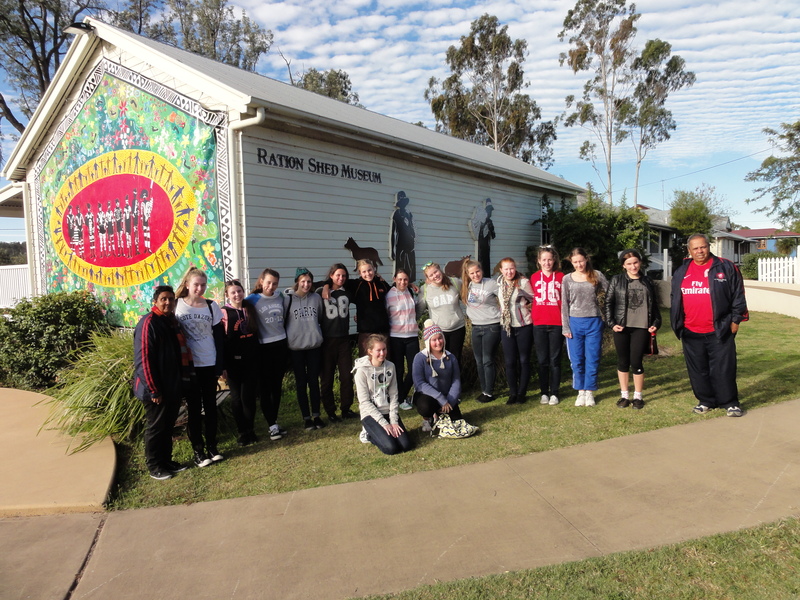 This afternoon we visited the Ration Shed in Cherbourg to learn more about the history of Indigenous segregation under the Aboriginal Protection Act. We were truly blessed to be accompanied by Uncle Eric and Aunty Shirley Law who shared with us some of their experiences growing up in Cherbourg. Their stories vividly evoked the injustice of a system designed to annihilate Indigenous people. On our return to St Joseph’s, we enjoyed an afternoon tea of fried scones and damper prepared for us by Aunty Shirley’s mother. It was an example of the type of food often prepared using the rations distributed at Cherbourg. This evening some students visited a local farm and tended to the horses. After dinner, everyone travelled to Kingaroy for a couple of enjoyable games of tenpin bowling. Today we farewelled Mrs Brennan but welcomed Mrs Mulherin and Ms Binnie. We thank them all for giving of their time so generously to make this immersion experience possible. This morning we were greeted with the bright smiles and friendly welcome of the students at St Joseph’s Primary School. When the morning song signalled the start of the school day, we followed the students to their classrooms and assisted the teachers with their first lesson. At break times, the students were happy to include us in their conversation and play time. In the afternoon, it was a great experience to be able to facilitate games for the students and give the teachers at St Joseph’s a chance to prepare for their parent-teacher interviews. Today we also visited the Indigenous learning unit, Manyung, for a workshop facilitated by Indigenous artist Nikkita Law. 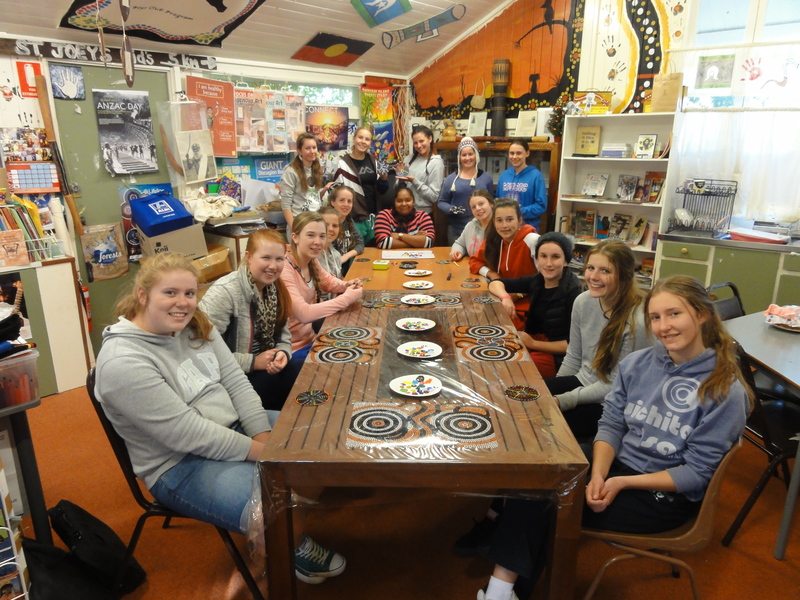 We learnt about Indigenous art and painted our own design on CDs. After school, Freya, Jill, Anna, Millie and Holly boarded the school bus for the Cherbourg run. It was quite an experience and we are all looking forward to our visit to the Ration Shed tomorrow. This evening, we travelled to Kingaroy, sampled the local cuisine (McDonalds and KFC) then returned to Murgon for our second movie night. So far, the immersion has been an enriching experience; luckily, we still have two days to go. 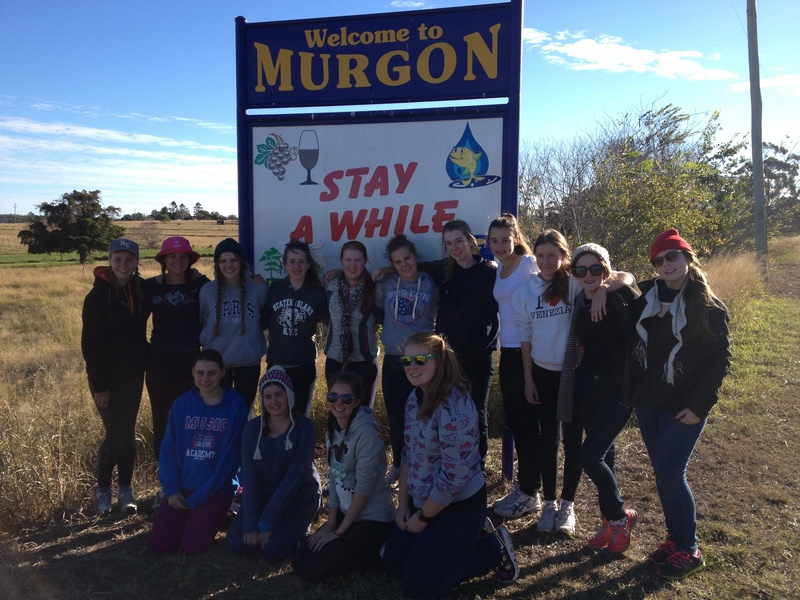 Welcome to Murgon: Now that we have the pic, it’s official! Today we awoke at 6am to prepare ourselves for an early departure to the Barambah Environmental Education Centre, a forty five minute drive from Murgon. We had little time to regret our late night as we ate breakfast, prepared our lunches and packed our bags for the day ahead. The drive took us out of network coverage so we had to content ourselves with animal spotting: cows, deer and kangaroos, just to name a few. 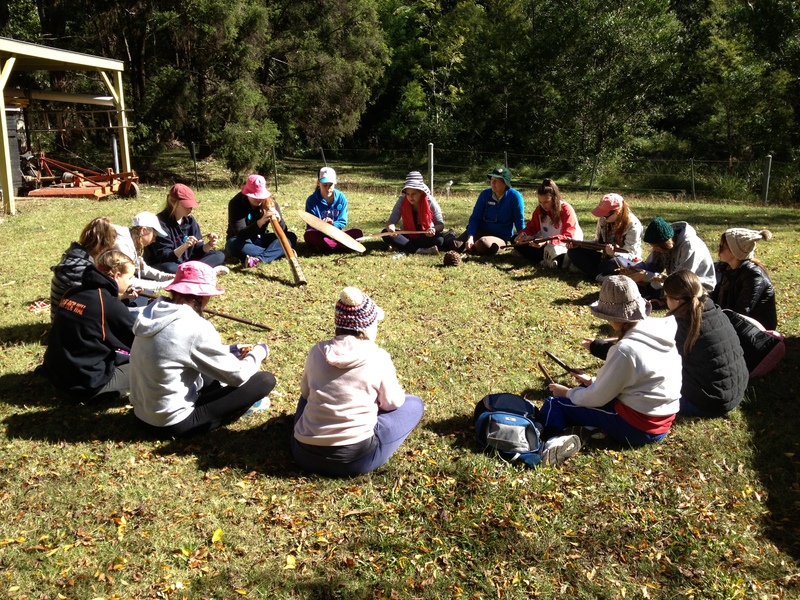 On arrival at Barambah, we started our bushwalk by tackling One Tree Hill and learning how to make string using a method used by Indigenous Australians. Further down the track, we learnt about the medicinal and culinary uses of some Australian plants and sampled bush tucker including Bunya nuts and Lemon Myrtle cordial. We also constructed gunyahs and explored some artefacts used by Indigenous people. On our way back to St Joseph’s, we spent time strolling the main streets of Goomeri and Murgon and doing the odd bit of shopping. Our meal tonight was Beef Stroganoff with a Potato and Vegetable Bake prepared by Gumnut Place, a local business that provides employment to people with disabilities. We hope all is well back home. 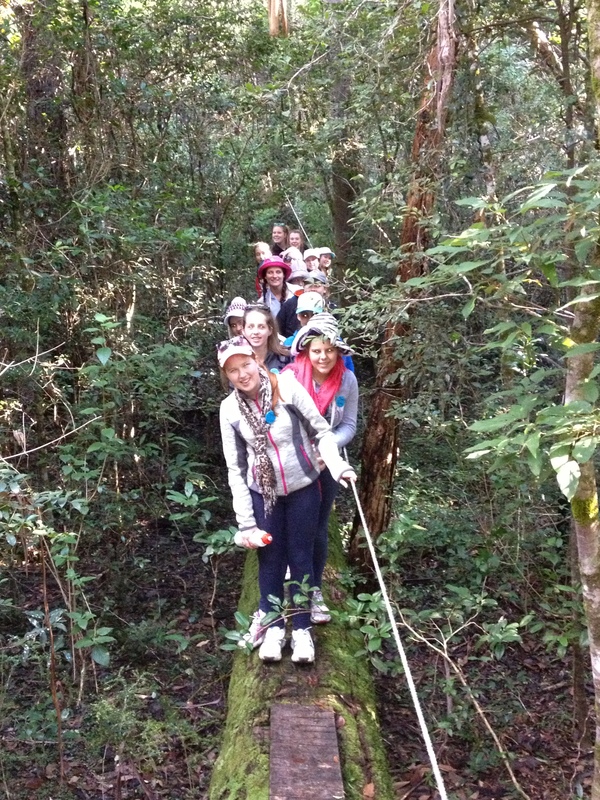 On Sunday 16 June, we packed our bags for the three hour bus trip to St Joseph’s Primary School, Murgon. We travelled through some picturesque countryside and entertained ourselves with music, lollies and laughter. 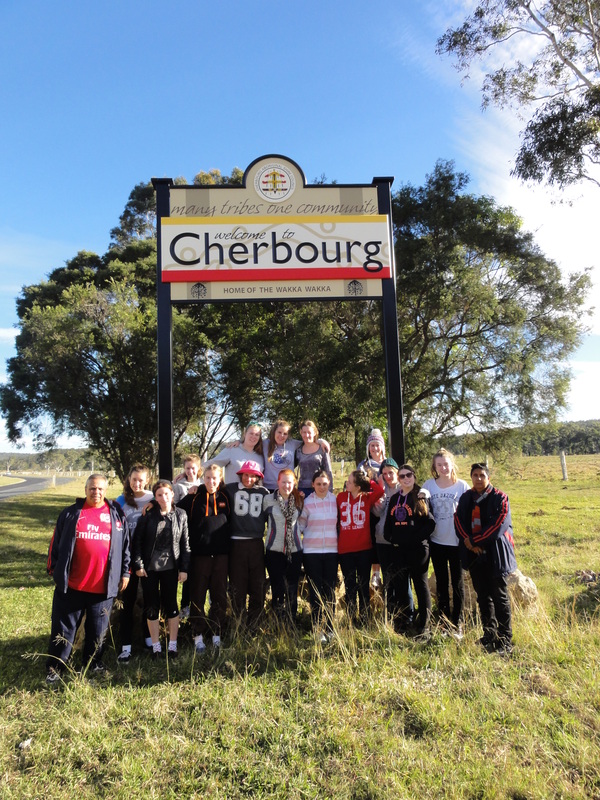 On our arrival in Murgon, it was fifteen degrees so we donned the hoodies and long pants, unpacked the ute and rolled out the sleeping bags in the school library that will be our home for the next few nights. We are most appreciative to Mr Greg Cran, Principal of St Joseph’s, for organising a barbeque dinner for us. It was a nice end to a good afternoon.